An internship is a professional learning experience that offers meaningful, practical work related to your field of study or career interest. Internships help you prototype or try on different career experiences to determine what you like and what you do not. You may be surprised to find your initial career interests are not what you expected. Or, you may find a new career path that is more exciting than you thought! Both experiences are important to finding your future career path. Internships offer the opportunity to explore a career interest, experience the daily operation of a company or organization, and learn new skills. Internships offer the opportunity to bring new ideas and energy to the workplace, develop talent, and potentially build a pipeline for future full-time employees. Handshake Review internship listings posted by employers and alumni who want to hire Auburn Engineering students. Career Fairs Mark your calendar for the Engineering and Technology Career Fairs, as well as other niche fairs by viewing the Events Calendar in Handshake. You'll find a list of employers who will be attending each upcoming fair. Company Information Sessions Companies often recruit at Auburn by conducting information sessions and other events to meet students and help them learn more about their company. Review the Events Calendar in Handshake regularly to keep track of upcoming information sessions. CareerShift A complete database of employers and jobs/internships for students and recent graduates. Access CareerShift through your Handshake account under Career Center >> Resources. USA JOBS Provides opportunities to work in agencies and explore federal careers. Students who successfully complete the program may be eligible for conversion to a permanent job in the civil service. Engineering Global Programs Explore academic and service opportunities through exchange programs, faculty-led programs, and Engineers Without Borders. 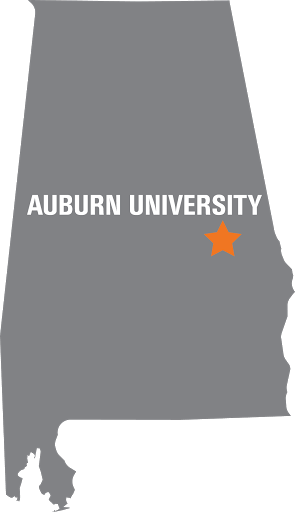 Auburn Abroad Explore opportunities to gain experience abroad through Auburn faculty-led and exchange programs as well as faculty-supervised internships. GoinGlobal Provides country guides and a database of internships and jobs. Keep in mind visa and work regulations vary by country and you may not be eligible to work in most countries without obtaining governmental authorization. Access GoinGlobal through your Handshake account under Career Center >> Resources. Summer Intern - Civil/Structural Engineer at Pickett & Associates, Inc.